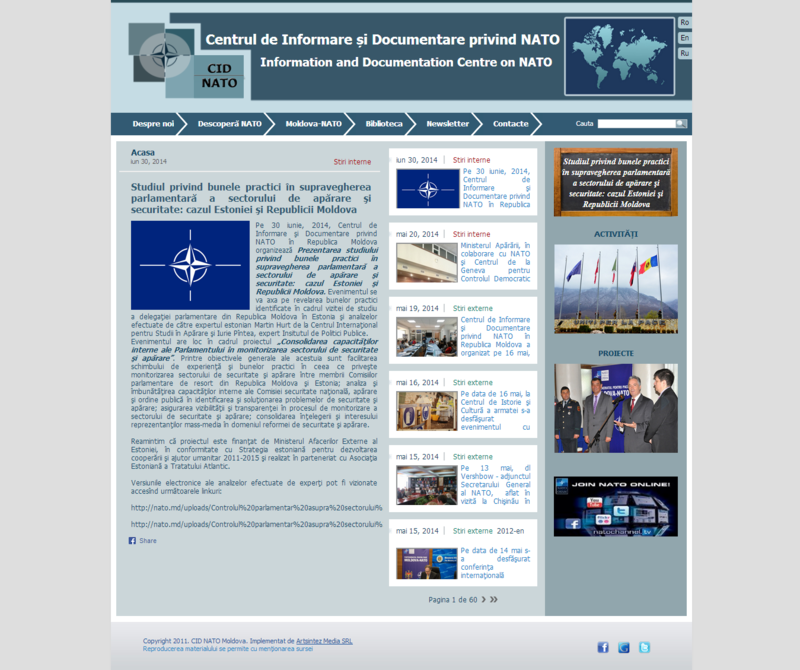 Information and Documentation Centre on NATO from Moldova (IDC on NATO) is a noncommercial, autonomous organization set up on September 15, 2006, in a form of private institution, to promote the Euro-Atlantic values and principles, to support cooperation between Republic of Moldova and North Atlantic Alliance and to implement the objectives and activities established by the Republic of Moldova – NATO cooperation tools. Information and Documentation Centre on NATO from Republic of Moldova supports the implementation of Individual Partnership Action Plan Republic of Moldova-NATO (IPAP). The Center works in partnership with the NATO Public Diplomacy Division, NATO Embassy Contact Point in Chisinau and with the acredited embassies in the Republic of Moldova.